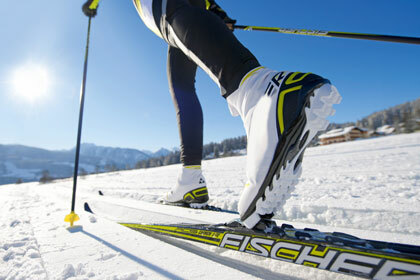 Join Panorama Mountain Resort for their 3rd Annual Dragon Tail Loppet! This fun race is open to all competitors, regardless of age or ability. All participants welcome. This is an unsanctioned event.Classic and skate technique. Distances to 11.5km Competitors choose their discipline. All disciplines race together by age category. Bib Pickup: Racing numbers will be assigned at registration. Awards: Awards will be had at the Panorama Nordic Centre as soon as practical following the race. The first 30 competitors receive an event t-shirt. Draw prizes provided by Helly Hansen, Rossignol and Panorama Mountain Resort will be awarded. Facilities: The heated Nordic Centre has some space for changing and storing bags. There are drinks and confectionary available. An outhouse is also available. Full compliments of resort amenities are available within walking distance. Multiple dining locations, lodging, retail, day lodge etc. Waxing: Competitors are welcome to wax on the Nordic Centre deck. Power outlets are available. January 7th at 9am at the Panorama Nordic Centre. Trail Passes: Trail passes are not included in the race entry fee. Panorama Mountain Resort Alpine and Nordic season passes are valid. Trail passes can be purchased at the Nordic Centre. Sponsors: Panorama Mountain Resort, Helly Hansen, Rossignol and Pepsi.